Back at Google I/O, Google announced an upcoming initiative titled Android One. Its purpose, albeit an aggressive one, is to get a smartphone into the hands of every human on Earth, allowing everyone on this planet the same access to the Internet’s full resources of information. This week, Google has officially launched the platform, complete with affordable hardware and carrier partnerships based in India, with even more to come in the Philippines, Indonesia, and South Asia (Bangladesh, Nepal, Pakistan, and Sri Lanka) by the end of the year. To us, the phones may not exactly impress with their specs, but if you have never had the opportunity to even touch a smartphone before in your life, then it could easily change the world as you know it. After conversion, these Android One devices are priced at about $100 off-contract, featuring 3G/4G radios, expandable memory slots, dual-SIMs in select markets, front and rear-facing cameras, and run Android 4.4+. 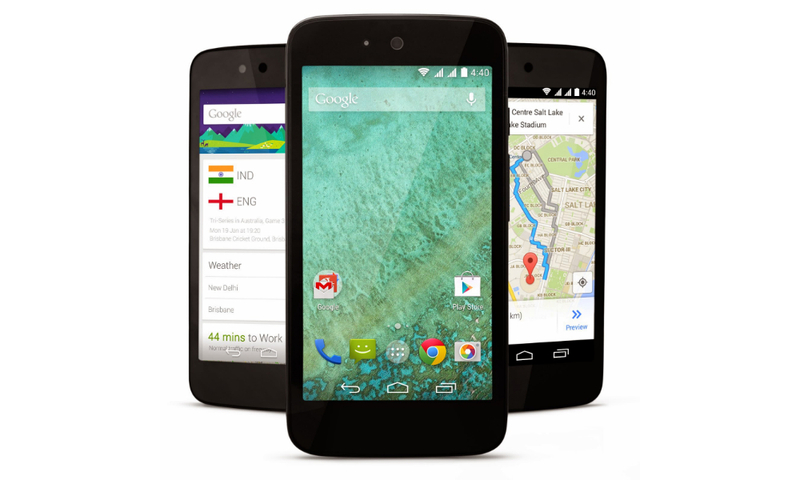 Google also states that Android One devices will be some of the first to receive the update to Android L, as well. On top of Android One’s open availability and affordable pricing, Google looks to ensure that once the device is in the hands of a user, they will be able to utilize the phone to their full advantage. To do so, Google is teaming up with overseas carriers to make sure that each software update that the phone receives for six months after purchase does not count towards the user’s phone bill. In addition, Google is allowing for 200MB of free app downloads from Google Play each month, showing that not only does the company want people to have access to the technology, but also the power to tap into it. Android One is certainly a powerful initiative, one which we hope betters the lives of many in this world.